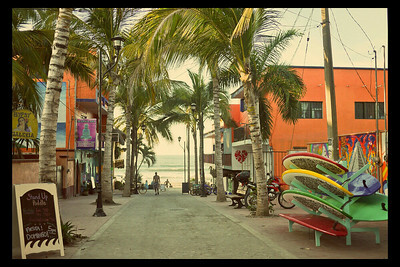 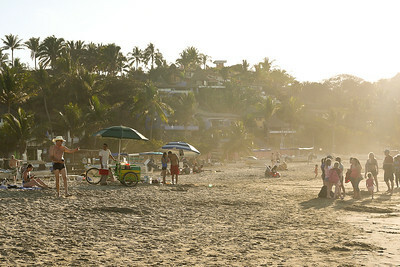 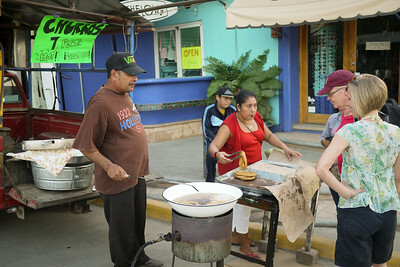 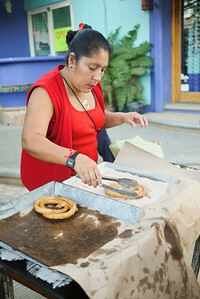 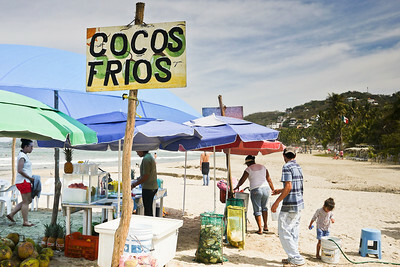 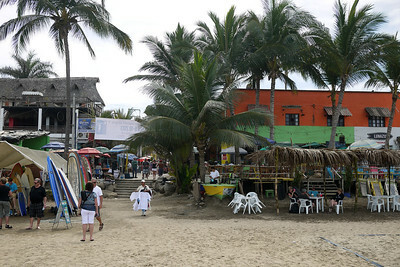 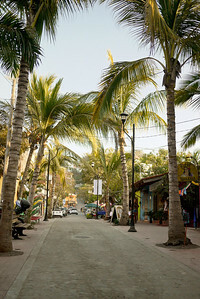 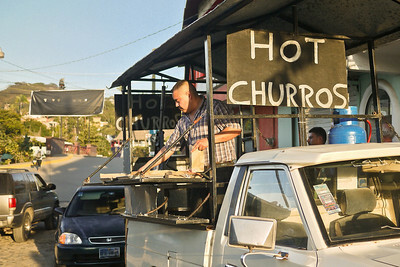 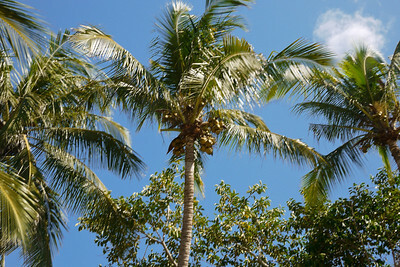 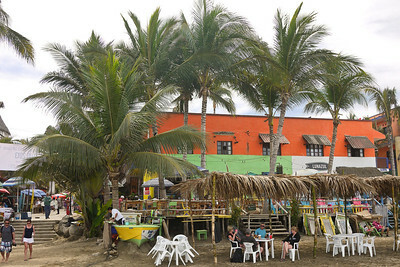 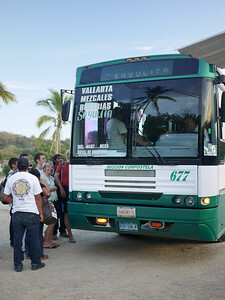 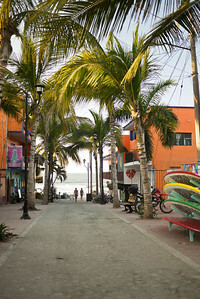 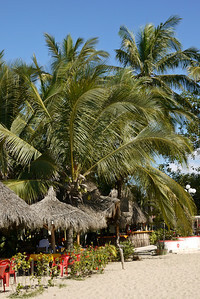 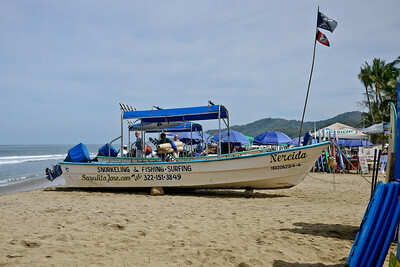 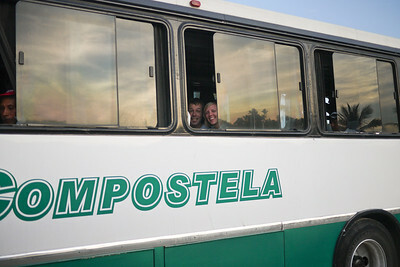 The lovely little surf town of Sayulita. 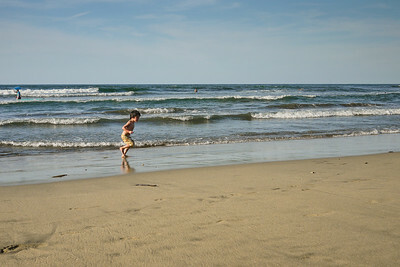 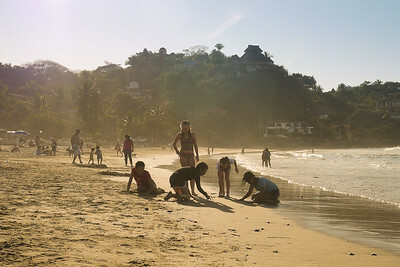 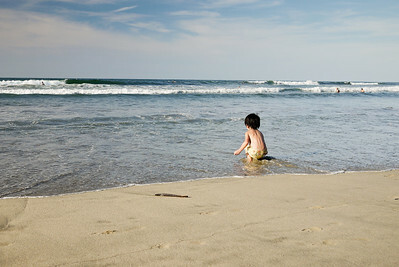 Sunset in Sayulita, Mexico as surfers catch the last waves of the evening and young children play in the sand. 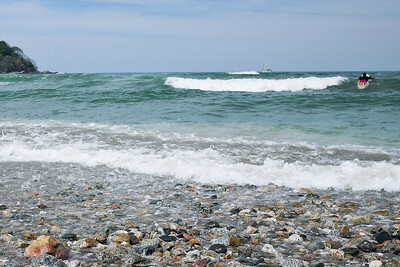 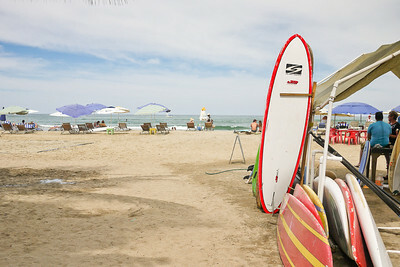 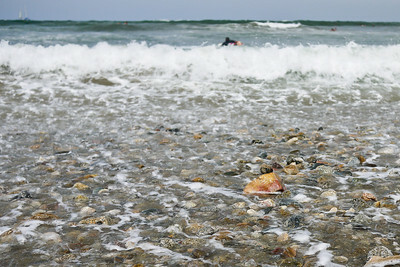 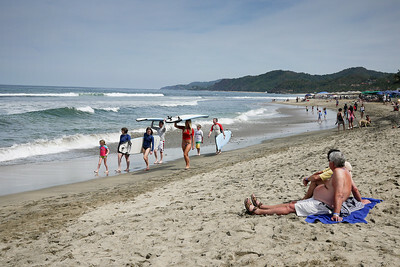 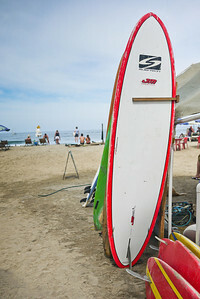 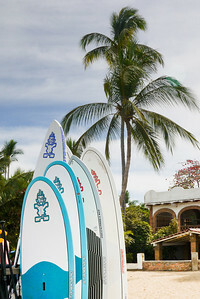 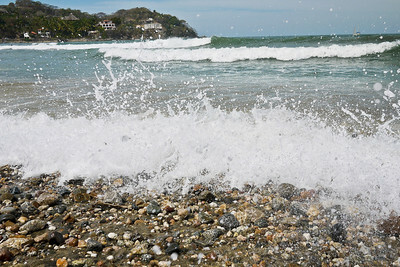 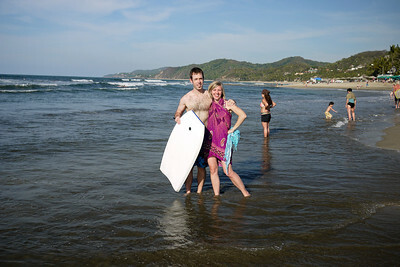 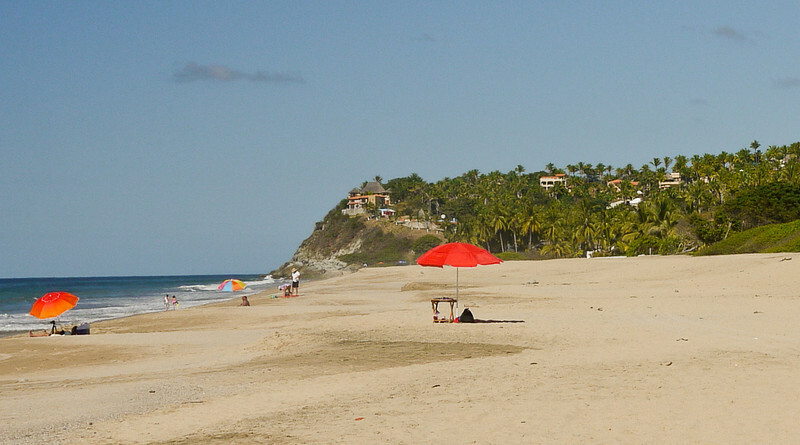 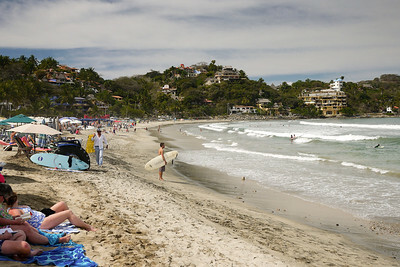 Surfers paddle out in the gentle waves around Sayulita beach.